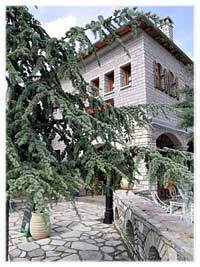 The traditional Monodendri Hotel of Daskalopulos family runs in Monodendri village, in Central Zagori. It is a family business that runs since 1986 and is managed by Mr. Marios Daskalopulos. The guesthouse is considered to be of the most significant and also of the most traditional ones in the area. The building is constructed with respect for the traditional architectural design of Zagori. Monodendri Hotel has 22 rooms. Most of them are doubles but there are also triples and four-bed rooms . 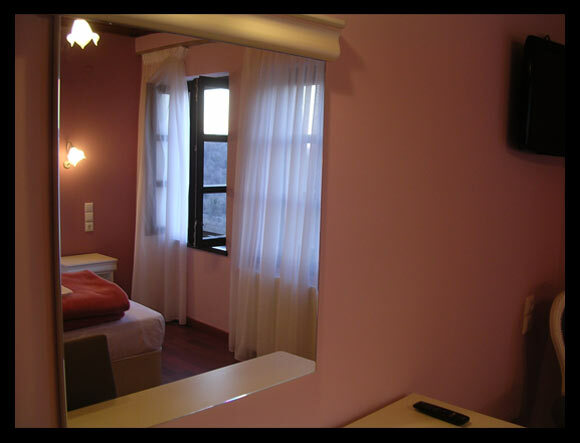 The rooms offer private shower and bathroom, TV, office desk, mini bar, hair-dryer, central heating, small living-room etc. Moreover, for your convenience, a safe at the reception for keeping your valuables. There is a daily room service. The building offers fabulous mountain view towards Vikos Canyon! Full breakfast is served at the restaurant of the guesthouse and is optional. At the bar you will find all kinds of drinks, soft drinks and coffees. At the restaurant of the guesthouse you can enjoy many dishes of the traditional cuisine of Zagori, always prepared with pure local ingredients. We recommend tiropita, lemonato lamb, kleftiko, chicken-pie as well as the homemade apple pie , always according to traditional recipes. You can wash your meals down with wines or drinks of your choice from the wide variety we offer.